A wingback chair can be used as an eye-catching desk chair. It not only looks impressive, but it is a comfortable place to sit while you are working. This handcrafted, wingback chair also has eye-catching details. 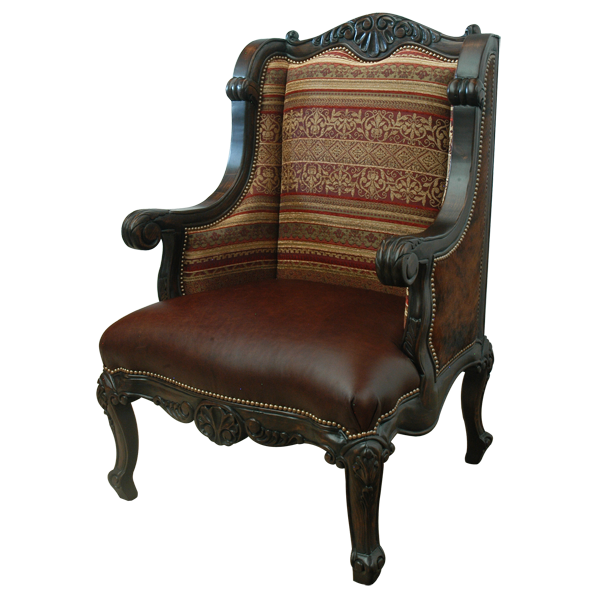 The seat back has a hand carved, centered floral design, with exquisite floral details ending in scrolled ends. The solid, wood armrest are beautifully curved and have hand carved reed and scroll designs. 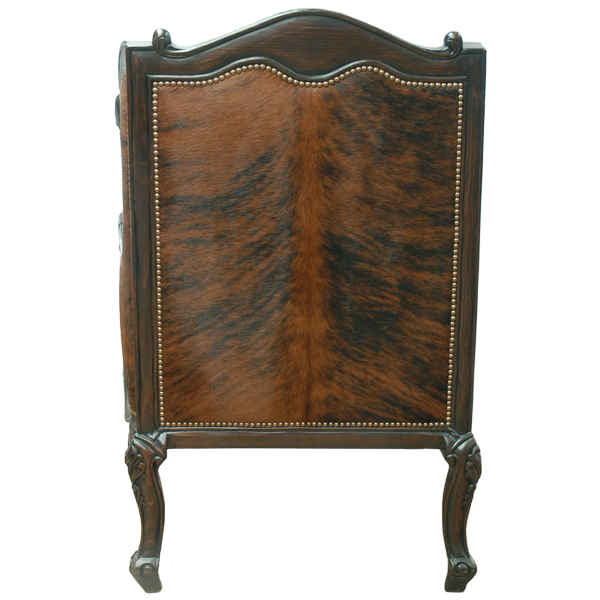 The skirt on the lower front of the chair is elegantly curved and has hand carved floral designs and scrolling. The curved, cabriole legs are elaborately hand carved with floral details and end in tapered feet. 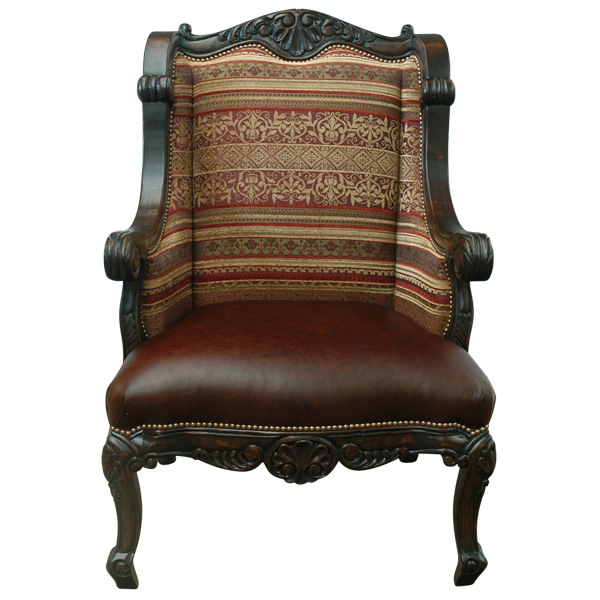 The inside seat back and the inside armrest are upholstered with fine, patterned fabric, and the seat is upholstered in rich, brown full grain leather. The lateral sides and the reverse seat back are upholstered in brilliant, red stained, real cowhide. The upholstery is painstakingly hand tacked to the entire wood frame by our craftsmen. The chair is durable and comfortable and is made with the best wood available. It is guaranteed for life and is 100% customizable.